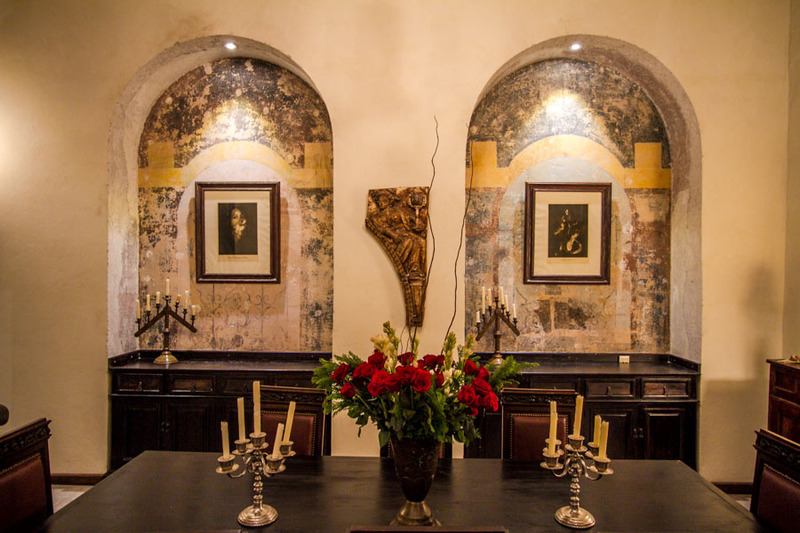 Casa Santa Ana is one of San Miguel's finest historic homes, dating from 1752 and once belonging to General Santa Ana, hence the name. 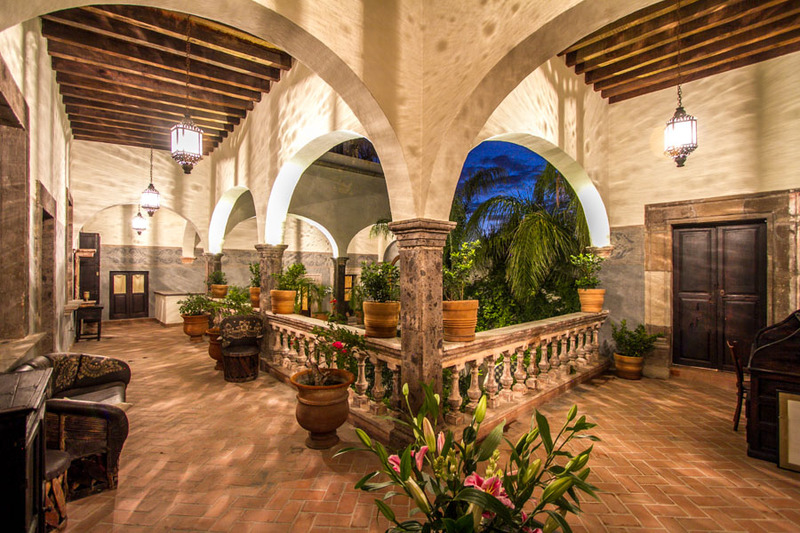 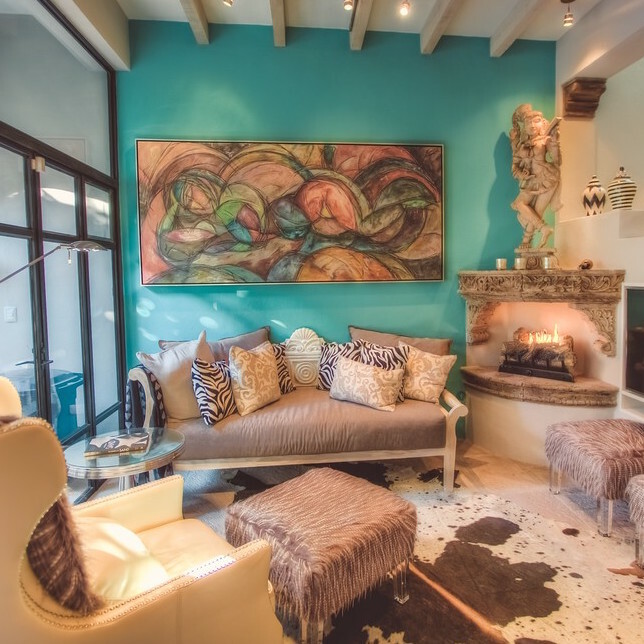 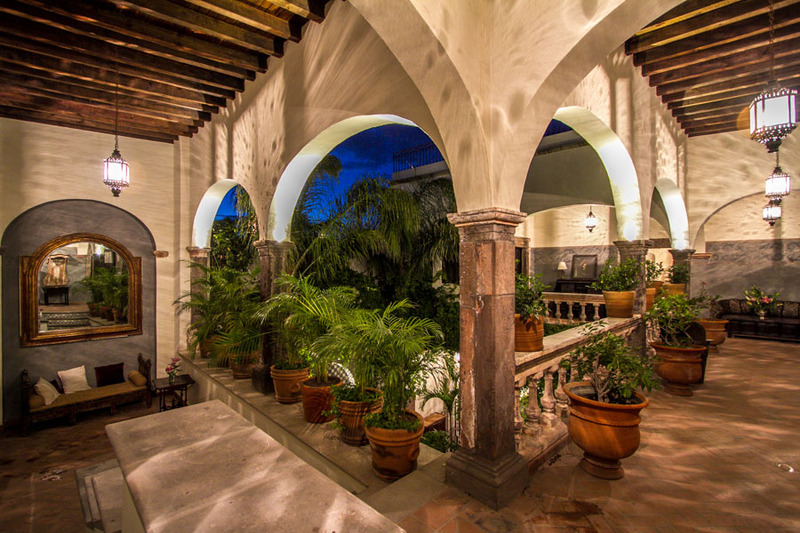 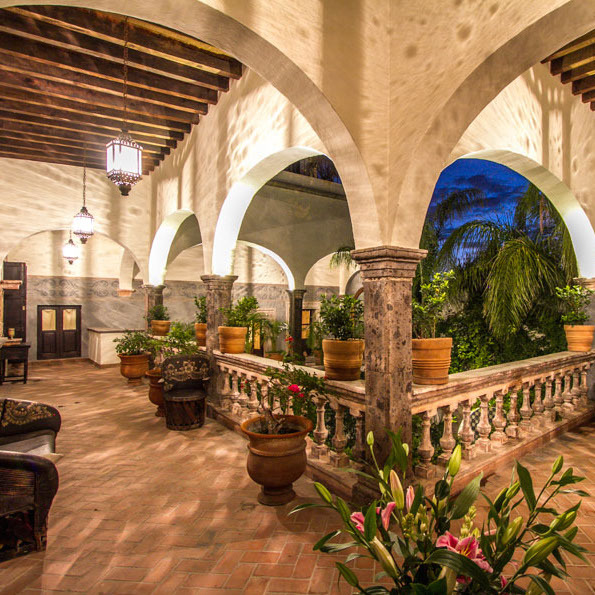 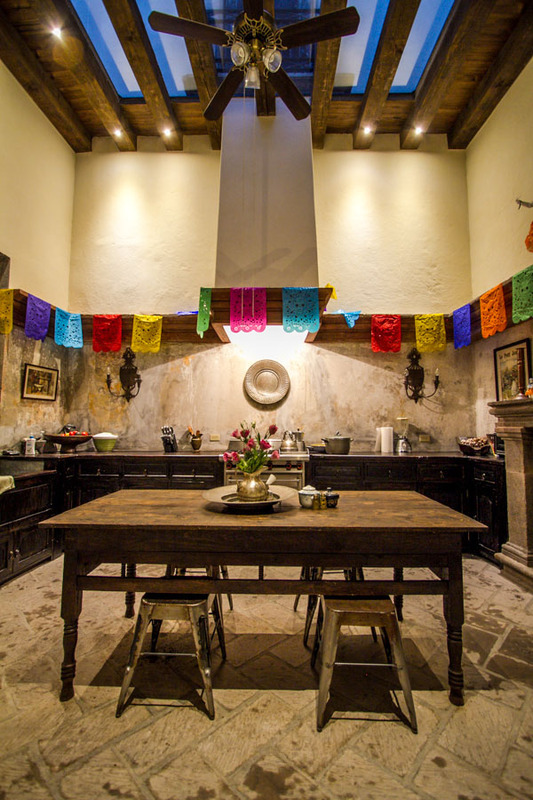 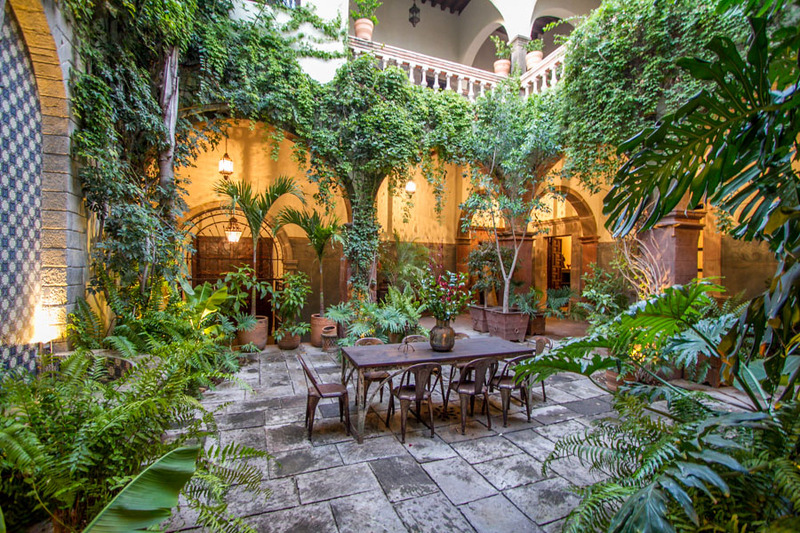 Casa Santa Ana is one of San Miguel's finest historic homes. 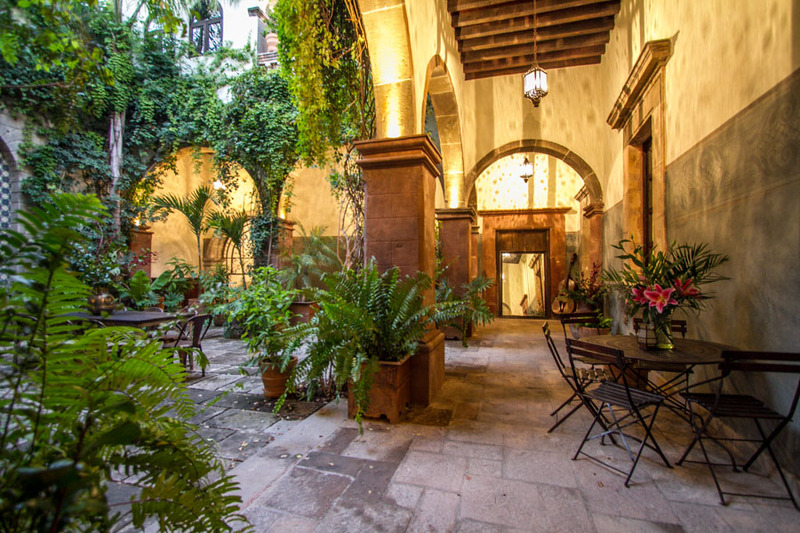 This lovely old colonial masterpiece is located just two-and-a-half blocks east of the Jardin in the Centro Historico on Calle San Francisco. 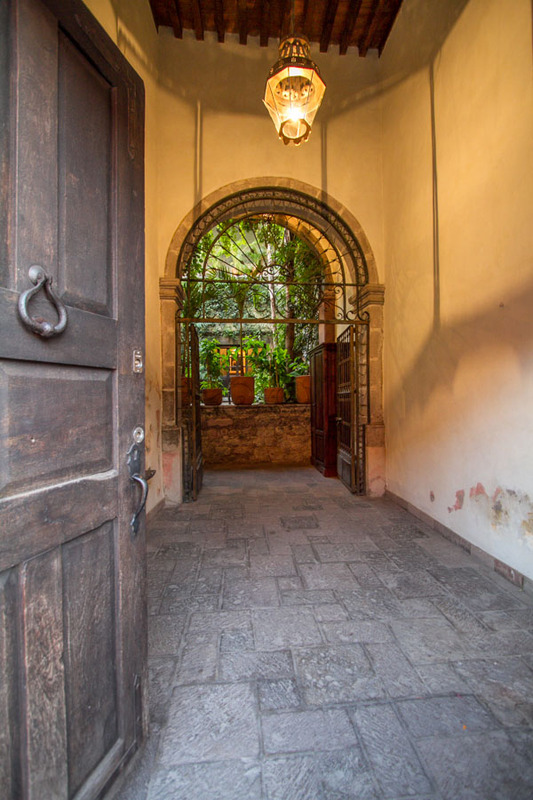 Although the street is a busy one, once inside the large wooden doors, the house resembles a cloister both for its architecture and its remarkable silence. 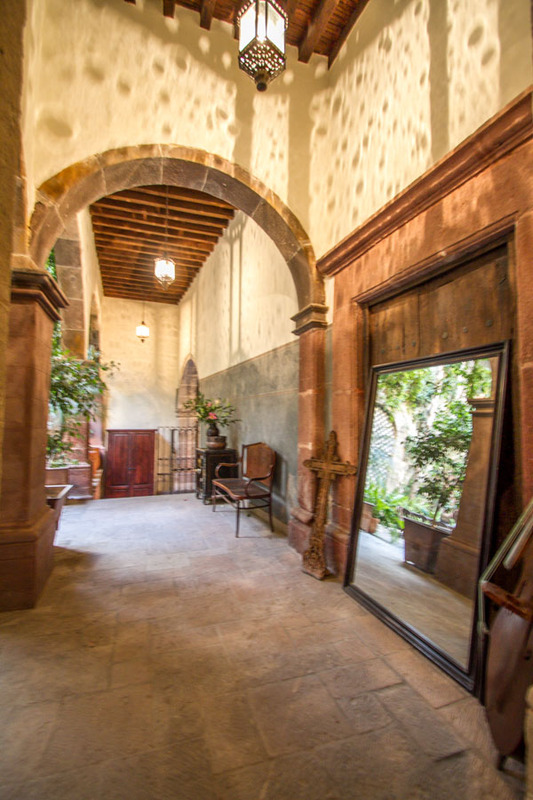 Built in 1752, it has been home to many prominent figures in Mexican history, including President Santa Ana in 1833. 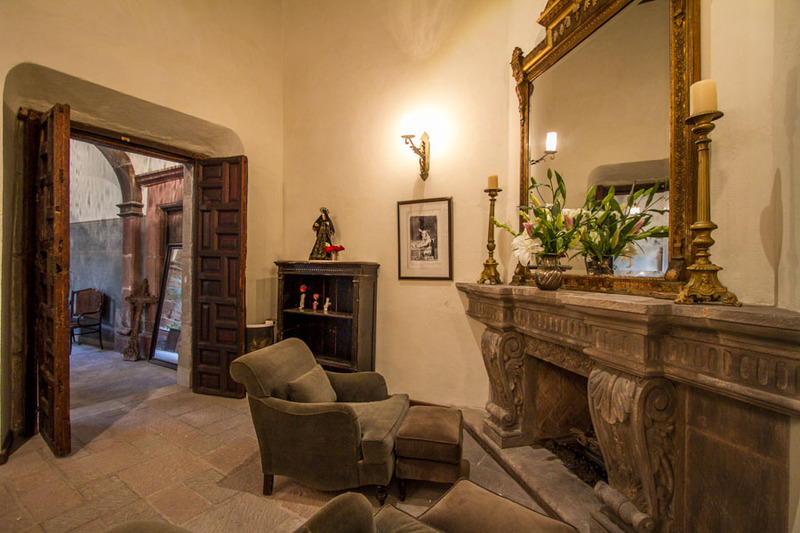 In the early 1900s, the house fell into ruins and remained empty until 1985, when it was renovated and opened as a hotel. 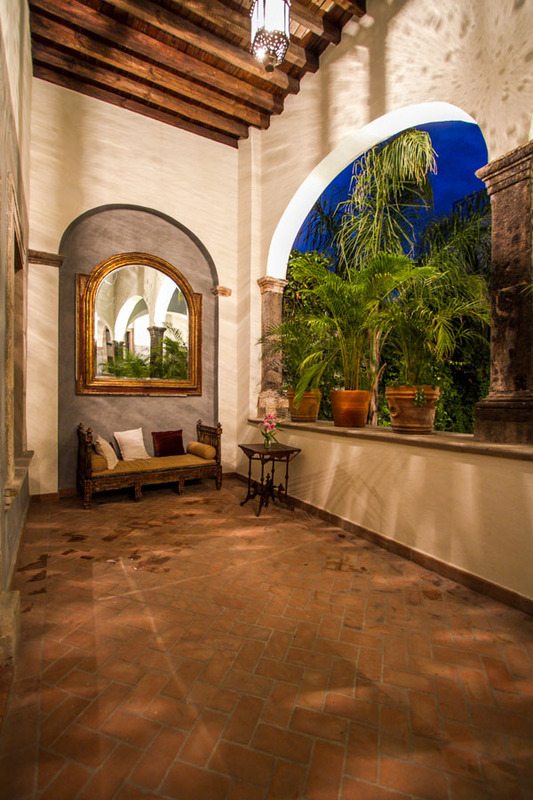 In 1994, a later owner, with the help of well-known colonial restoration architect Olga Adriana Hernandez, restored Casa Santa Ana over a two-year period back to its former glory as a private home. 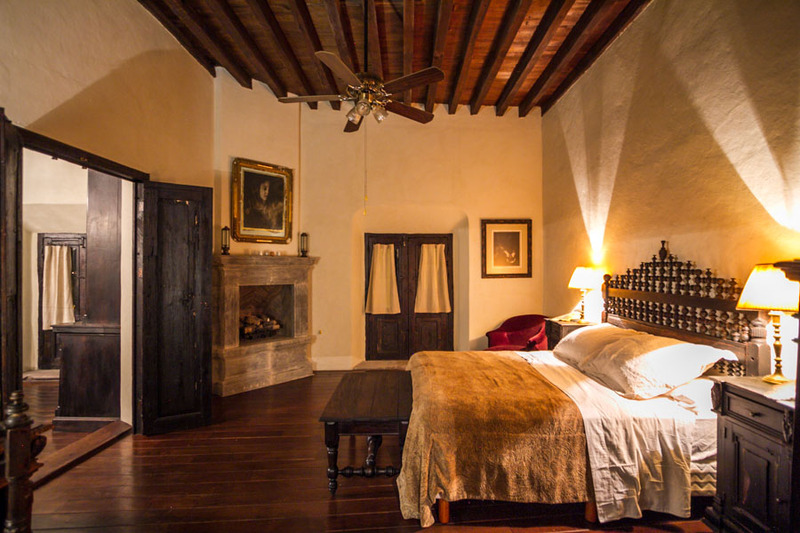 More recently, the new owner spent almost a year updating bedrooms and bathrooms and completely renovating and refurnishing the house. 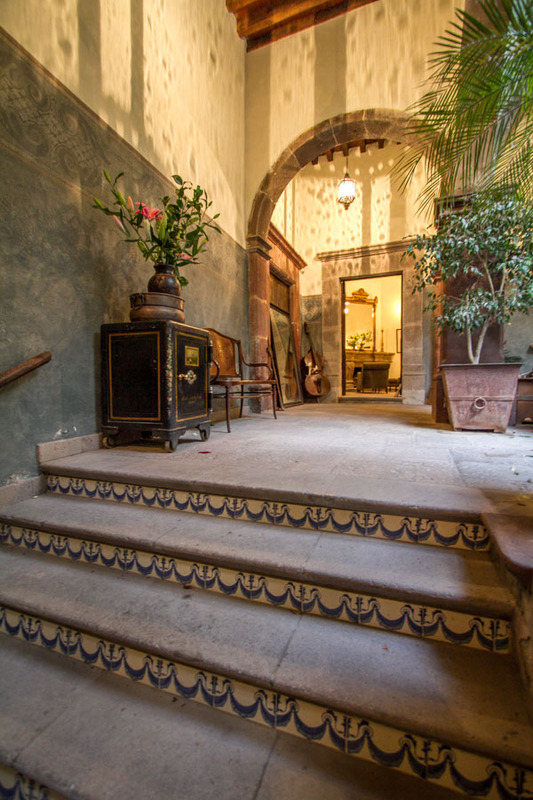 All of the rooms on two floors open to the central garden with a beautiful tiled fountain. 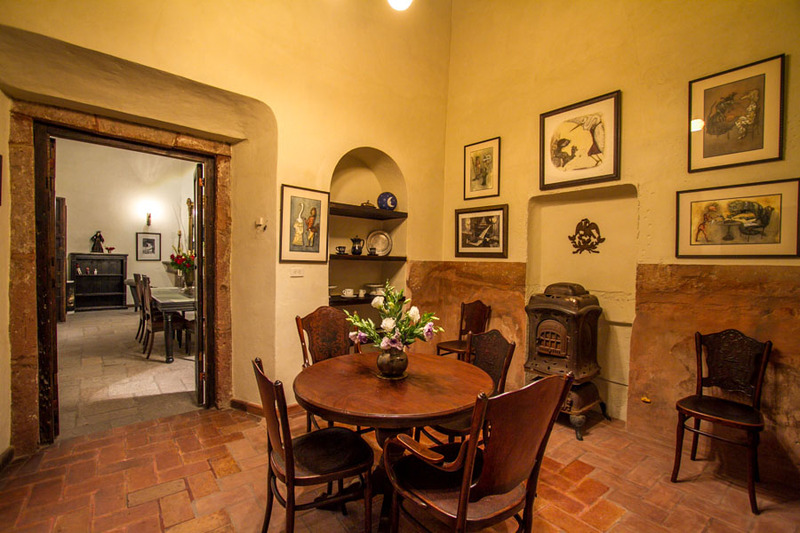 On the first floor is a large country-style kitchen with all the modern amenities, a cozy breakfast room, and an elegant, large formal dining room. 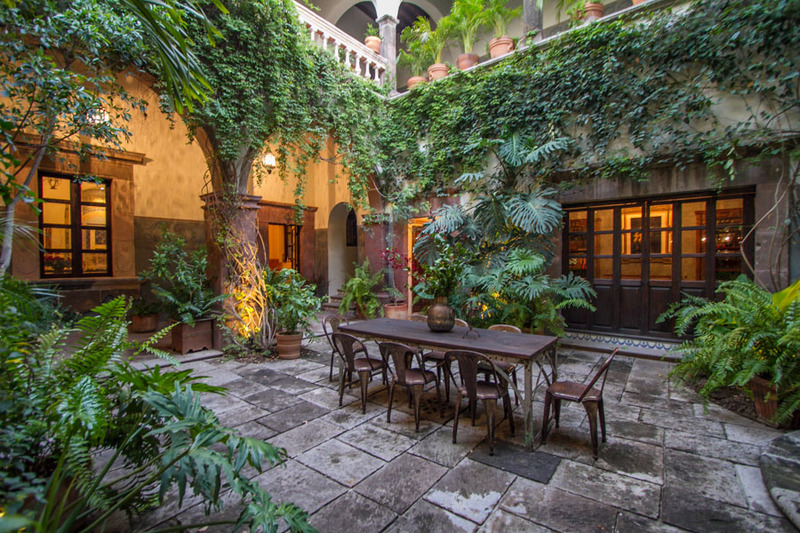 A small parlor on the first floor also opens to the central garden. 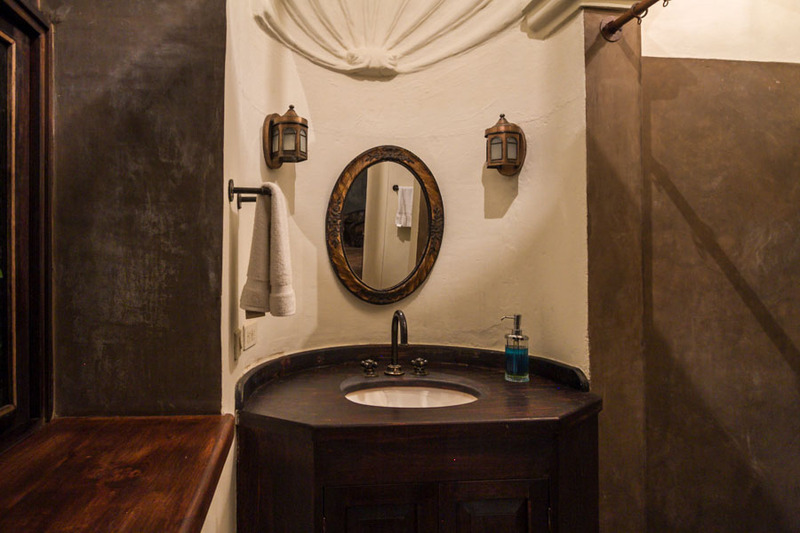 On this level, there is a guest bathroom as well. 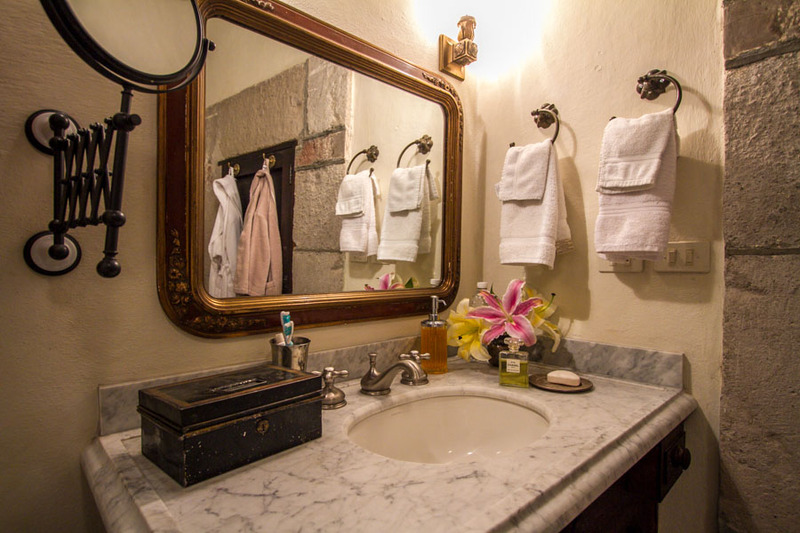 On the second floor, there are four bedroom suites, each with its own newly restored en-suite bathroom and walk-in closets. 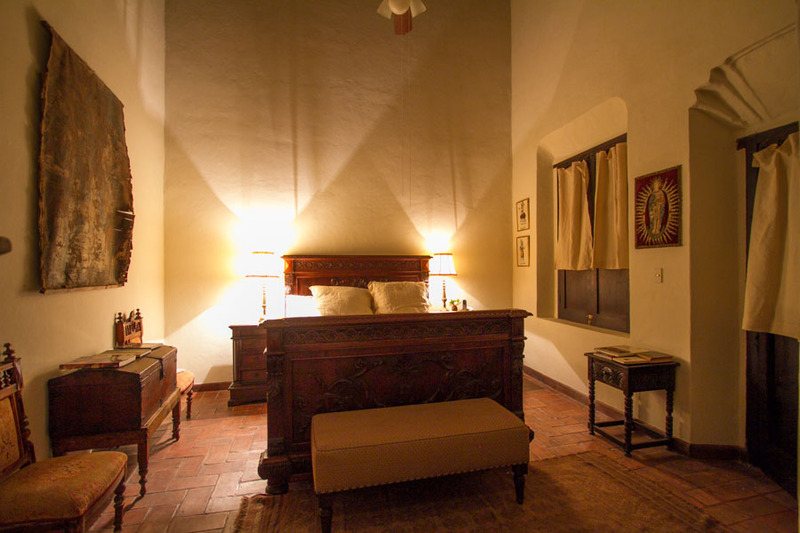 The bedding configuration for the four bedrooms includes: one king bed, one queen bed, one queen bed, two twin beds. 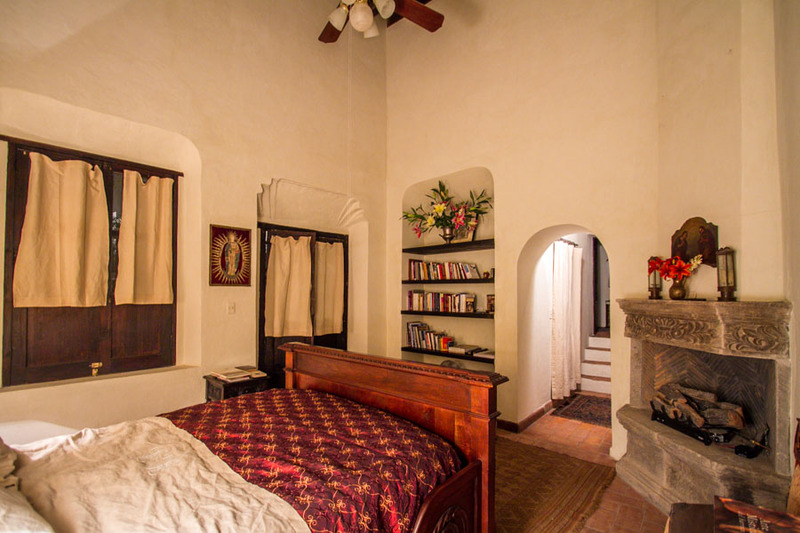 Three of the bedrooms have gas-log fireplaces. 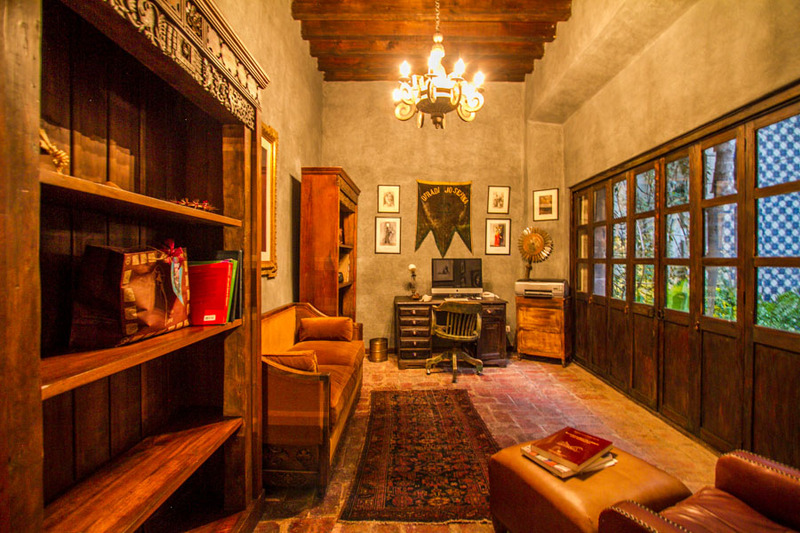 There is also a large library/living room with a fireplace and built-in shelves to house the music sound systems as well as cable TV. 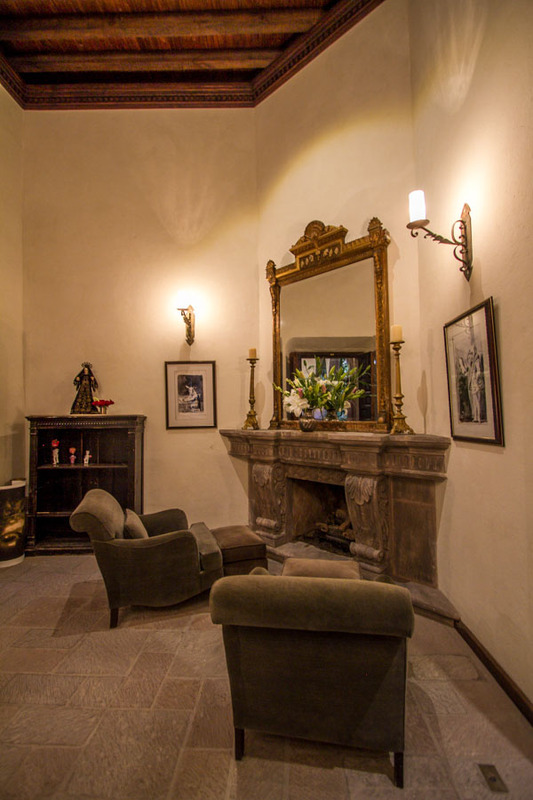 There is wi/fi access on all three floors, and the outdoor covered but open-air corridors are comfortably furnished with sofas and armchairs. 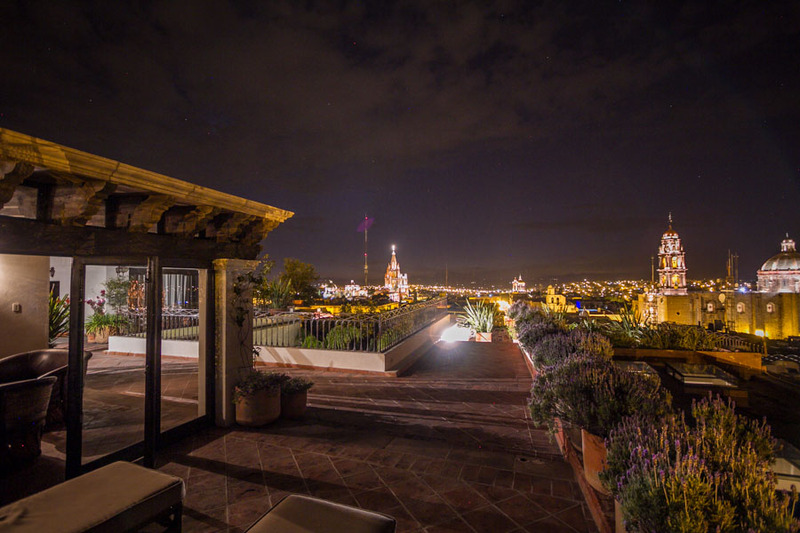 The views from the rooftop terrace are stunning. 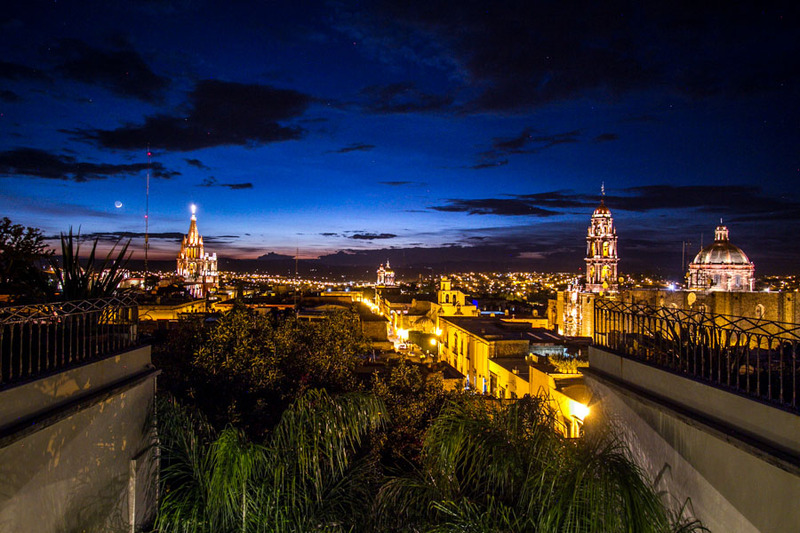 Renters like to sit on the expansive terrace and watch the sunset over the historic buildings of Centro. 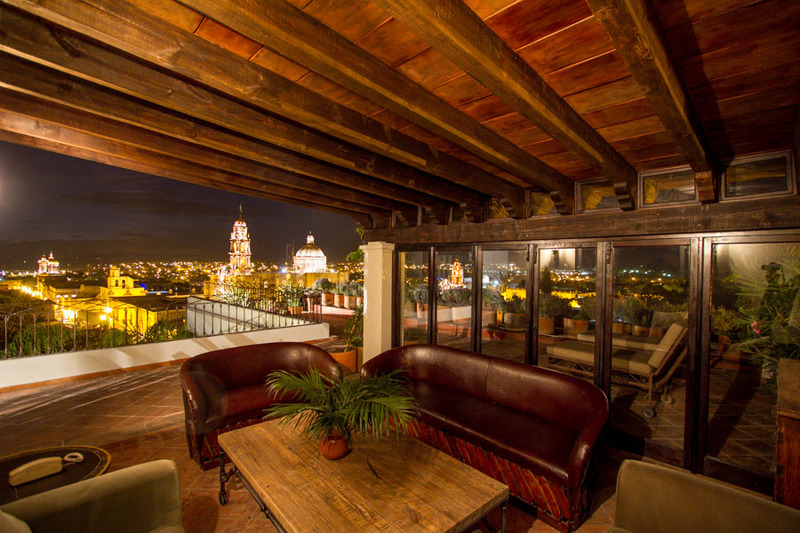 A lovely sitting room on the roof terrace is open on two sides to a 360-degree view of San Miguel. 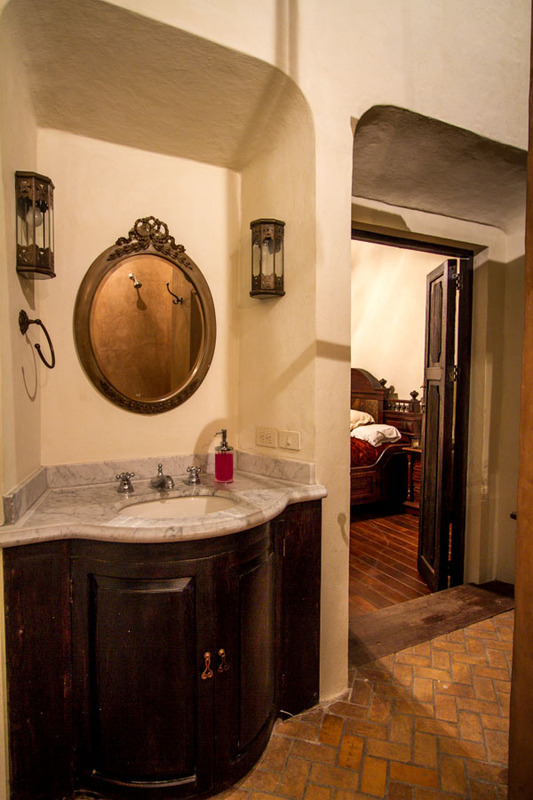 A hidden laundry room and also a guest bathroom are on this level as well. 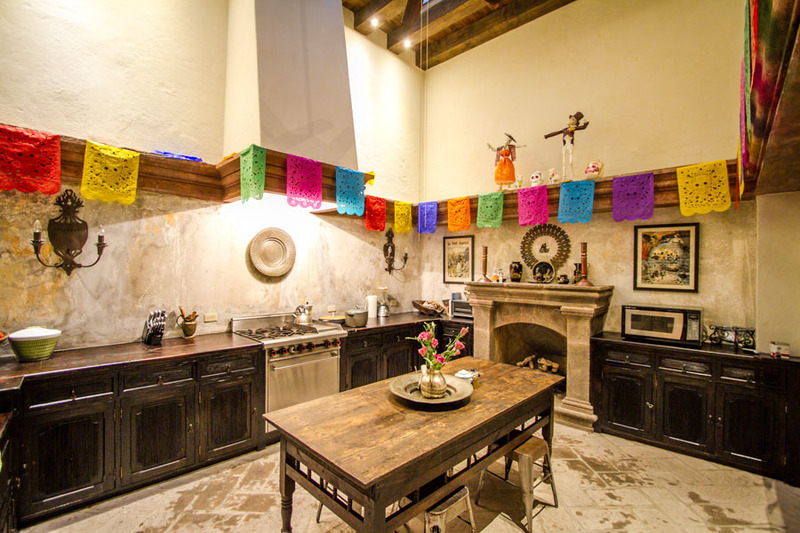 Casa Santa Ana is staffed by 2 chambermaids and a cook, who come Monday to Friday from 9 am to 3 pm and on Saturdays from 9 am to 12 noon. 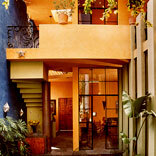 They can be hired at extra cost if renters need additional service. 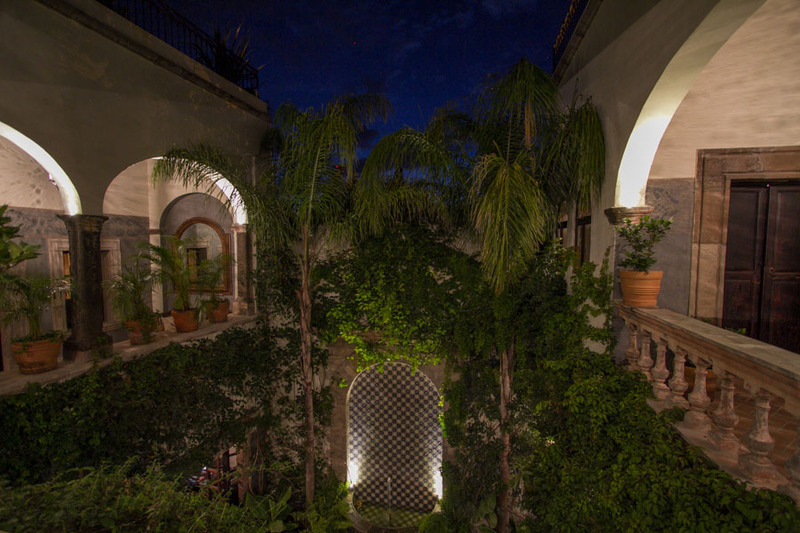 A gardener comes Tuesday/Thursday/Saturday from 9 am to 3 pm to tend to the plants, water the plants and handle any repairs. 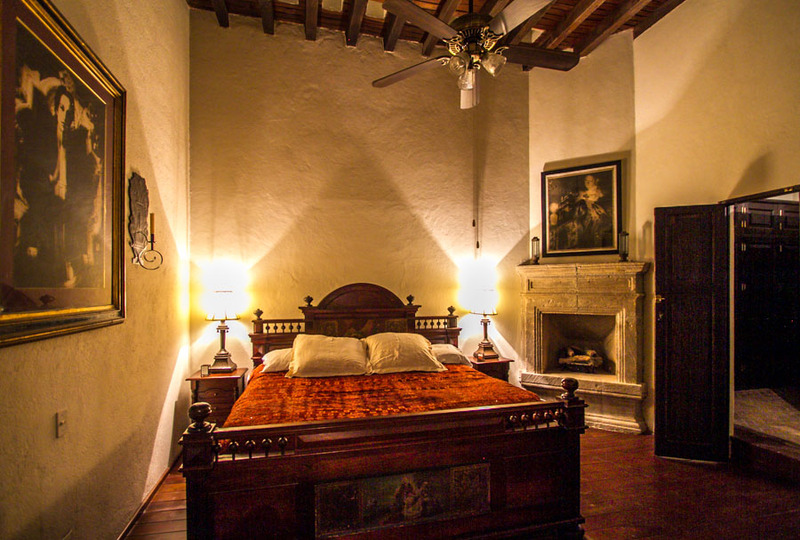 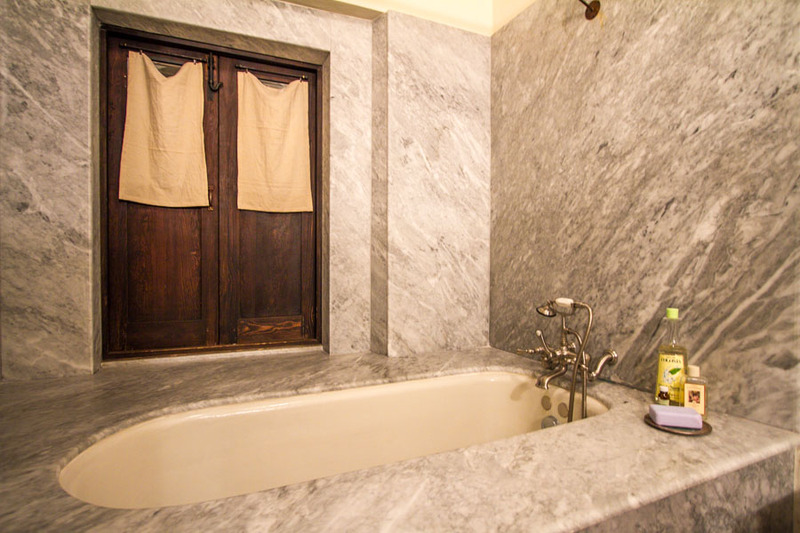 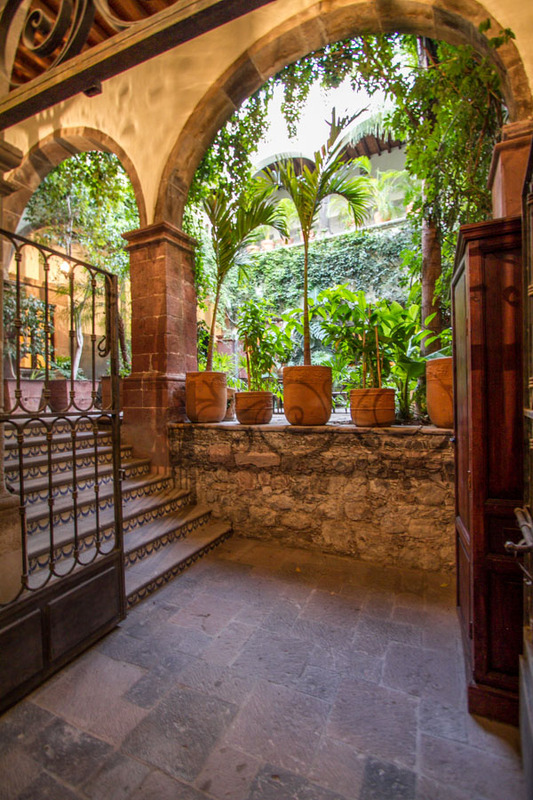 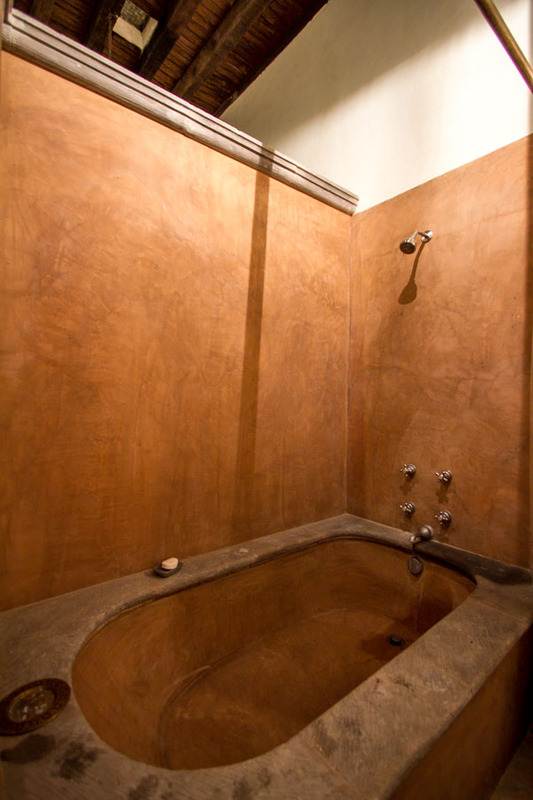 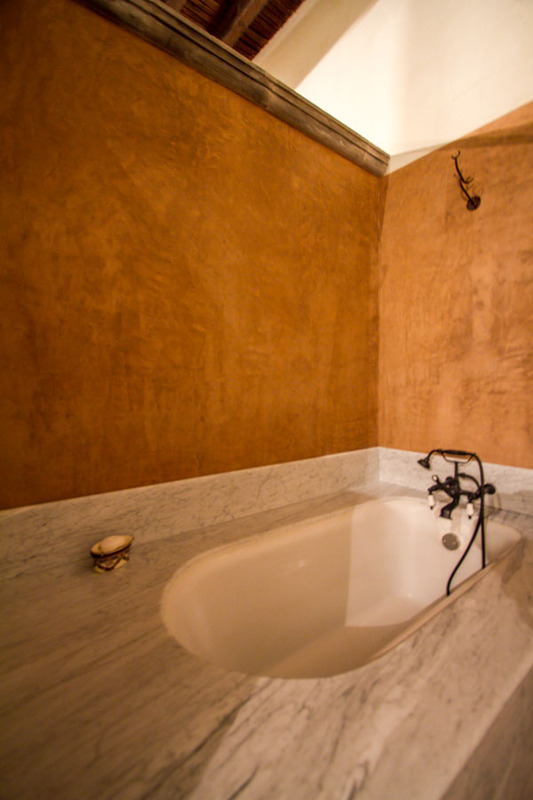 Don't miss a chance to re-live San Miguel's colonial past by staying in the lovely Casa Santa Ana. 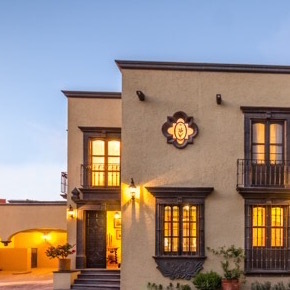 For large rental parties with more than 8 guests requiring more bedrooms, this house may be rented together with next-door Casa San Francisco, another lovely old historic home with an additional four en-suite bedrooms.